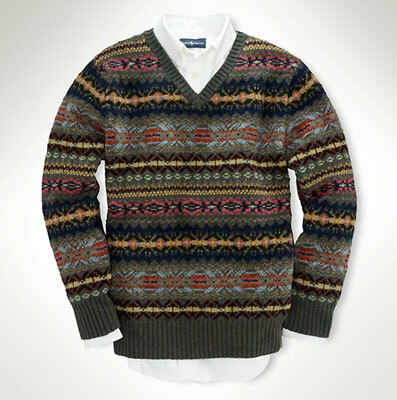 The sweater is a mix of cotton and Merino wool, with that bold Fair Isle pattern, a ribbed neckline, ribbed hem and ribbed cuffs. Perfect for autumn and winter days out. Sizes are available over an age range of six to 14 years and the price is £175. As for the rest of the range, that includes everything from college t-shirts to button-down Oxford shirts. Check out the site to have a browse.